This topic contains 1 reply, has 2 voices, and was last updated by seantucker 7 years, 6 months ago. 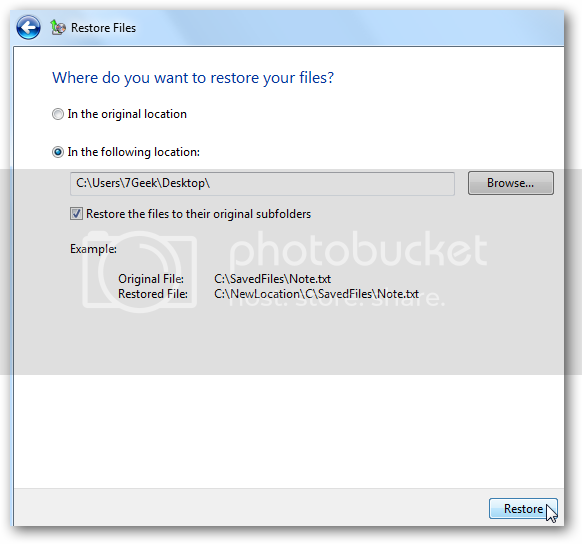 Dont worry You can restore what you have back up on your file which original location or choose a different spot you like then click Restore.1.select the location to restore your file 2.Wait for the process of restoring file which vary on the size you going to restore 3.In the Backup and Restore section click on the Manage Space link. it is similar like the windows xp and what about the system restore .